If you believe sprawl just magically happened, here's something that visually suggests otherwise. Thanks to researchers at the University of Richmond, Mapping Inequality offers unprecedented online access to the national collection of 'security maps' produced between 1935 and 1940, that doomed thousands of inner city neighborhoods to the negative effect of redlining. In order to pull the country out of the Great Depression, a series of socially liberal programs known as the New Deal, materialized between 1933 and 1938. Under the leadership of President Franklin D. Roosevelt, the New Deal included the creation of the Home Owner’s Loan Corporation (HOLC) to refinance defaulted home mortgages in order to prevent foreclosure. Under the direction of the HOLC, nearly 250 color-coded maps were created by mortgage lenders, developers and real estate appraisers identifying the credit worthiness and risks of specific neighborhoods in major cities across the country. 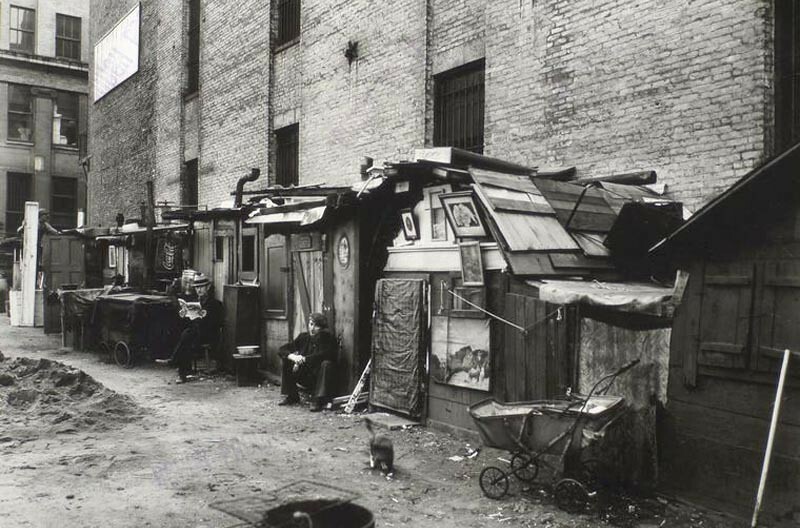 Largely based upon racial and class segregation, the HOLC documents helped guide decades of real estate practice restricting the economic vitality of urban areas throughout the country. Actions such as these, led to the concept of Redlining, where huge swaths of neighborhoods were identified as areas where mortgage lenders preferred not to make loans. Along with other racially biased policies of the era, such as the Servicemen’s Readjustment Act of 1944 (G.I. Bill), led to the proliferation of sprawl as growth and economic opportunity in outlying areas was promoted and subsidized to the detriment of established inner city districts across the country. 20% of the greater Detroit area was considered to be “Best” or “Still Desirable” by the HOLC in 1940. In Jacksonville, a city with a population of 173,065 in 1940, 73 percent of the land area was labeled as either “Hazardous” or “Definitely Declining”. On the other hand, only 25% was listed as being “Best” or “Still Desirable”. Areas redlined or classified as hazardous were identified as being 75 to 100 percent occupied by negros. Needless to say, despite the city’s overall population increasing to 868,031 residents in 2015, the areas redlined nearly 80 years ago have lost 100,000 residents since 1950. Similar statistics can be found with nearly every city documented by the HOLC. Sugar Hill (Jacksonville, FL) was defined as being “Hazardous” despite being an upscale residential district for early 20th century African-Americans. A few years later, an expressway was constructed through the heart of the neighborhood and urban renewal funds were utilized to raze large sections of the once proud community. 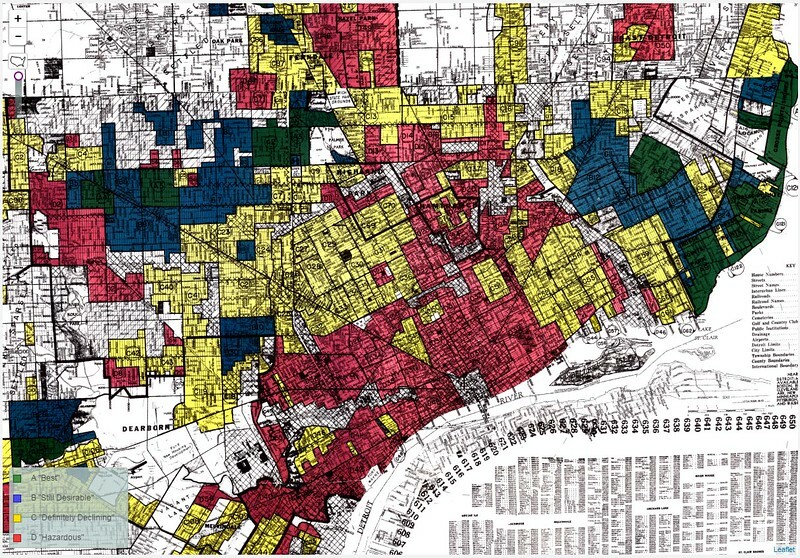 Thanks to researchers at the University of Richmond, MAPPING INEQUALITY Redlining in New Deal America, is a platform offering unprecedented opportunities to digitally browse over 150 interactive HOLC city maps illustrating how America’s Depression-era officials redlined many neighborhoods along racial lines. Here’s a sample of maps produced for the country’s largest cities of the era.